Prime I-95 frontage in fast growing Ormond Beach, FL. Ormond Beach is located south of St. Augustine and just north of Daytona Beach. 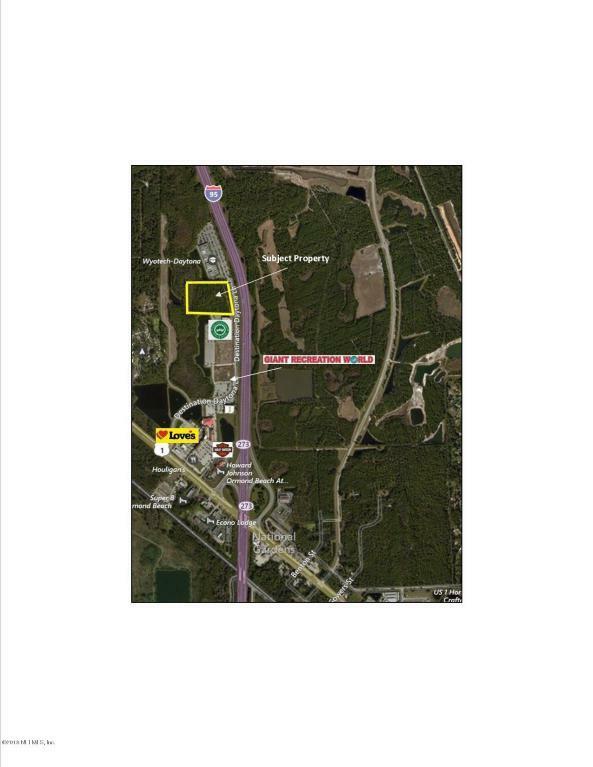 This lot is 14.50 AC with approximately 640 ft of road frontage facing I-95. This property is located inside of prestigious Destination Daytona on the west side of I-95 south of exit 273/US-1. Share your business with Bruce Rossmeyer's Harley Davidson, Loves gas station/truck stop, Giant Recreation World, and Destination Daytona 4 X 4 & More, to name a few.